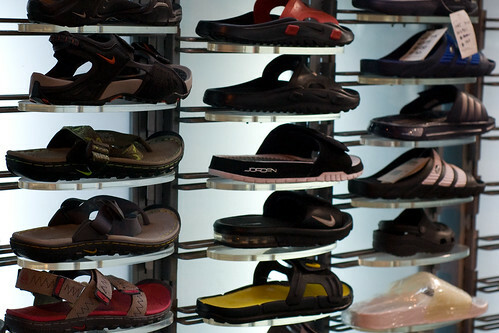 There’s a huge variety of footwear for men to choose from in department stores and shops across Taiwan IF you wear a size 10 or smaller. Frostfox has a hilarious related post on the issue from early this year. When I went back to the US for a month, I stocked up on all different types of shoes. I should be set for a year or two. Good luck!